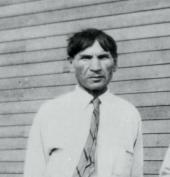 A world-renowned long-distance runner, Acoose was born in the Qu'Appelle Valley “around the time when the Saskatoons bloom in the year the Half Breeds fought the government (1885).” A distinguished member of the Saulteaux First Nation, Acoose was born into a prominent family known for their prowess as runners. According to one legend, Old Acoose was out hunting in the Moose Mountain area when he sighted a number of elk. Restricted by the federal government's rations policy, he was without weapon or bullets and so chased the elk towards the Indian Agency at Crooked Lake, a distance of about 60 miles, where he was certain he could obtain a gun and ammunition. Acoose killed nine of the elk, and the people of his community were able to eat well for some time. Paul became a professional runner in 1909, his debut marked by a victory over the famed English runner Fred Appleby. During this first race as a professional, Acoose defeated Appleby in a 15-mile race which elevated Acoose's stature to world champion because he finished it in a record time of 1:22:22. In a rematch a week later, a gambling enthusiast threw thumbtacks on the race track; and although Acoose completed the race with thumbtacks piercing his feet, he finished second. Not to be deterred by his second-place finish, he went on to run against some of the top runners in the world at Madison Square Gardens in New York City, where he placed a respectable second. Although he ran many professional races, one of his proudest victories as a runner was when he competed against the celebrated Onondaga runner Tom Longboat. Acoose had waited a long time for a chance to run against Longboat, whom he regarded as a superb athlete and his only match. 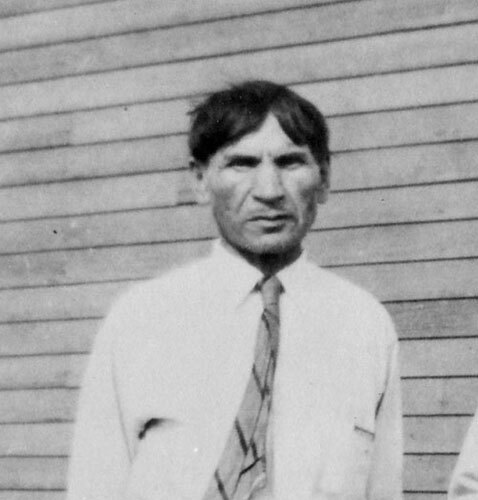 The race was finally scheduled for March 30, 1910, and was billed as the “Red Skin Running Championship of the World.” After defeating Longboat, Acoose retired from running, returning to his Sakimay Reserve home, which he shared with his wife Madeleine (O'Soup) Acoose. Together they raised nine Children, supporting them though farming and gardening. Paul Acoose died in 1978.